How do I customize the Order's Emails? 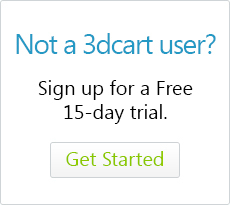 The 3dcart system generates automatic emails which are sent to your shoppers when an order is placed and when the order is updated into a different status. Each template uses a series of dynamic variable tags which insert specific database information into the contents of the email. Dynamic tags will always be listed in [ and ] brackets. These following tags will be listed with their respective START & END Block Tags which are required on the template itself in order for the dynamic insertions to take place. Therefore when editing the template, be sure to include the proper comment tags to begin and end the block of coding correctly.